The death of Gary William Holt husband of Patsy (Burns) Holt of Miramichi, NB, occurred at the Saint John Regional Hospital on Wednesday, December 5, 2018 at the age of 74. Born in Quarryville, NB, Gary was the son of the late Percy and Robina (Bell) Holt. Gary was retired as a paving superintendent with North Shore Construction Ltd.
Gary is survived by his wife Patsy, two sons: Scott (Tina) of Moncton, NB, Colin (Jaime) of Miramichi, NB. two grandsons: Cody and Samuel , two nieces: Dawn and Nancy Lynn, one nephew: Andrew and sister-in-law Ethel Holt and his furry friend Lucy. 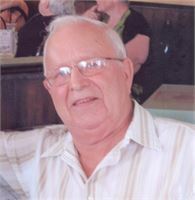 Gary is predeceased by two brothers: David and Herbert and sister-in-law: Marion. Visitation will be held at Bell’s Funeral Home on Saturday from 7-9 PM and Sunday 2-4 PM & 7-9 PM. The Funeral Service will be held from The Sterling Bell Memorial Chapel on Monday, December 10, 2018 at 2 PM with Rev. Charlene Maguire - MacKnight officiating. Burial will take place in St. Mark’s United Church Cemetery, Quarryville, NB later in the spring. In Gary’s memory, a donation may be made to the Saint John Regional Hospital “NB Heart Centre”. Funeral arrangements are under the care of Bell’s Funeral Home, 651 King George Highway, Miramichi, NB. Telephone (506) 622-3600. A tradition of service to the families of the Miramichi since 1922.